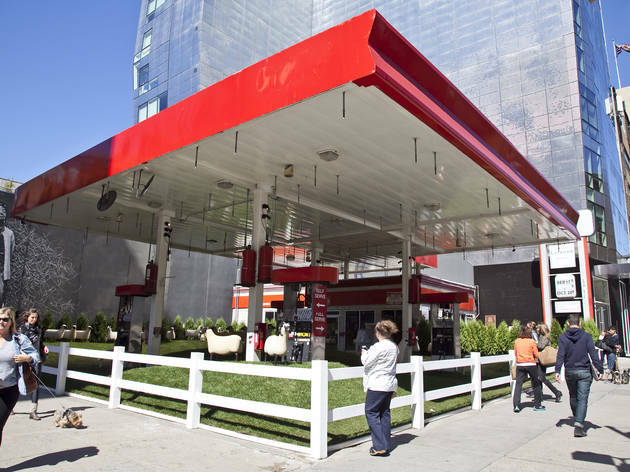 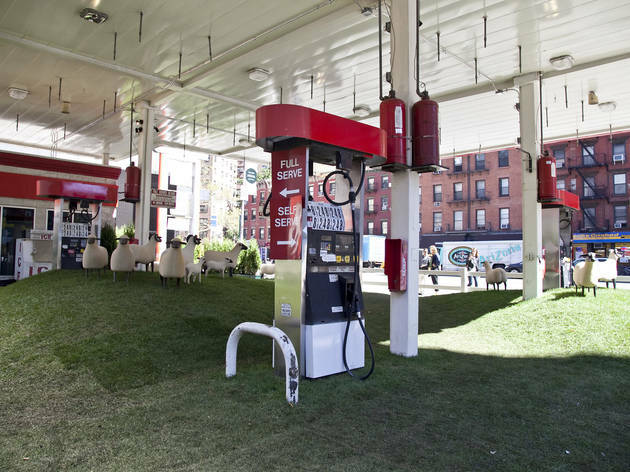 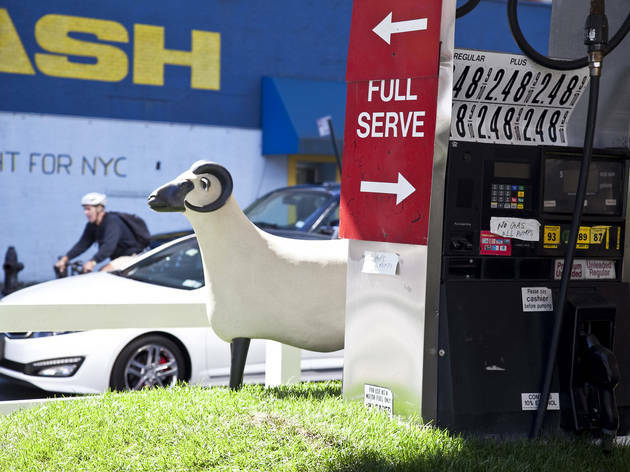 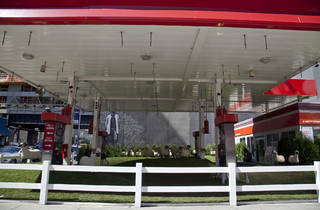 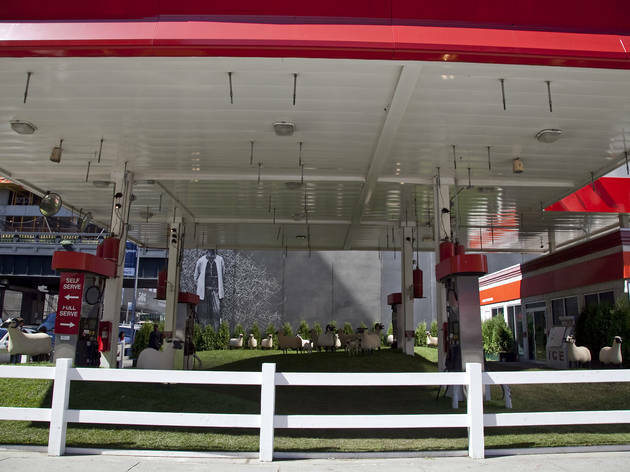 What do you get when you cross a defunct gas station with a real-estate developer who’s a fanatic collector of concrete sheep, and a gallerist representing the estate of the sculptor who made them? 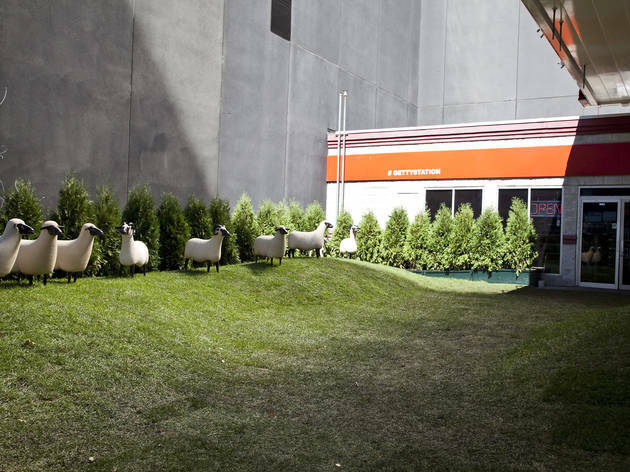 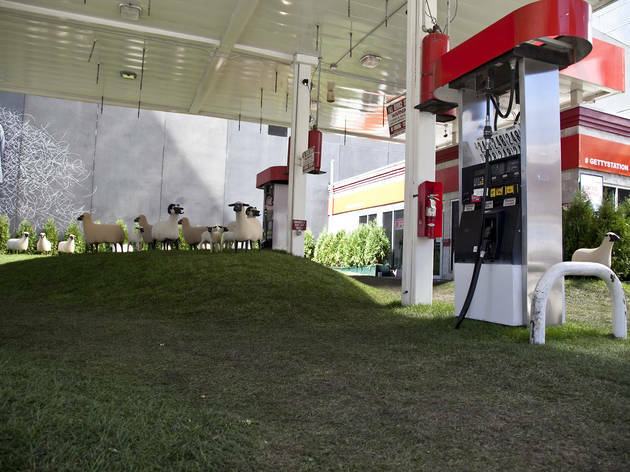 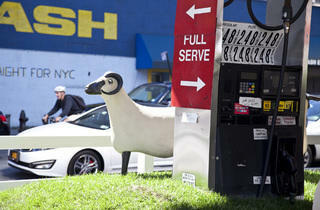 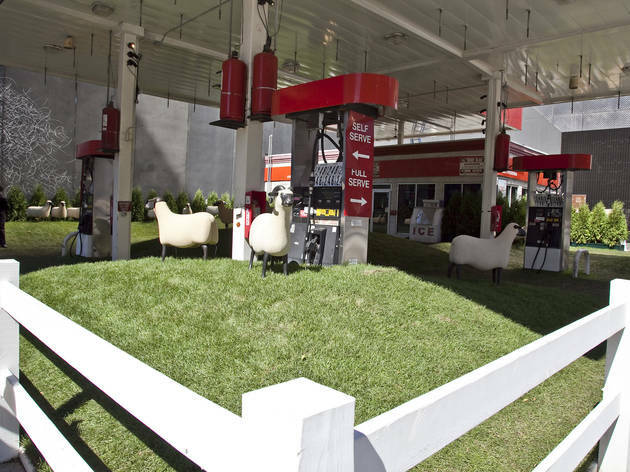 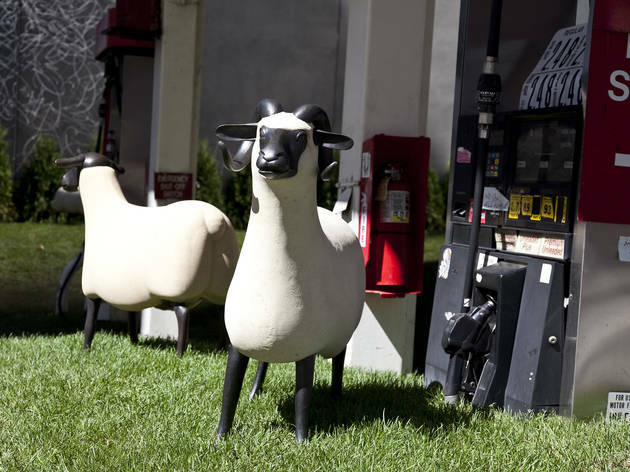 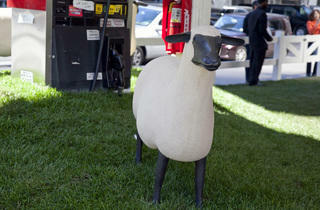 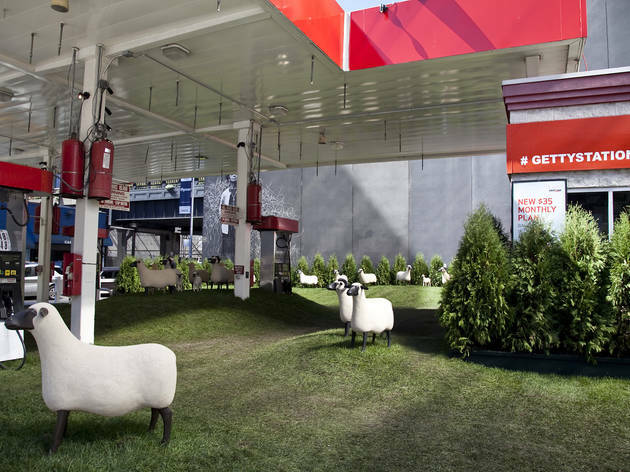 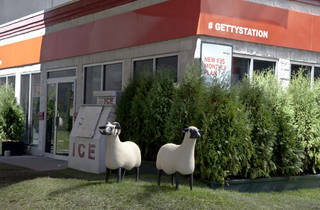 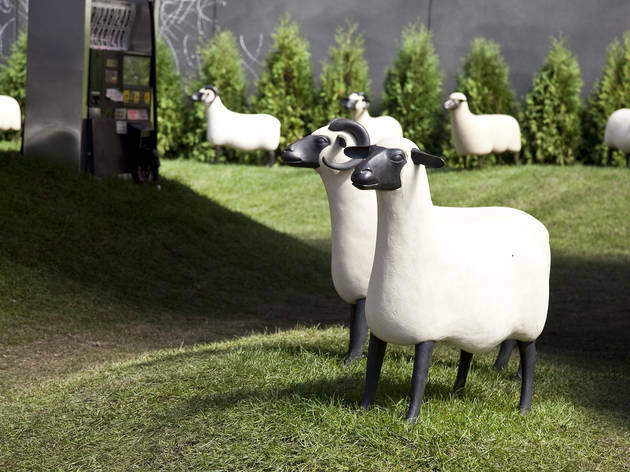 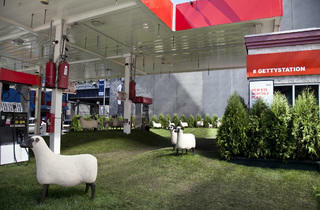 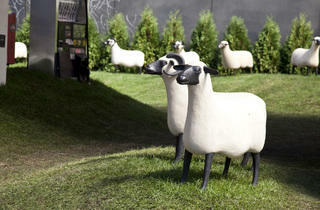 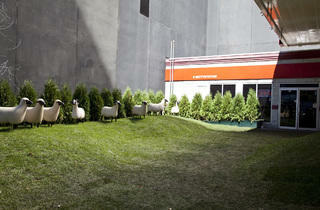 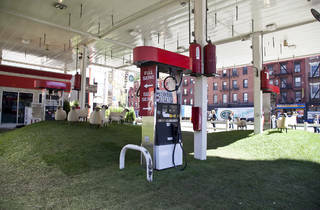 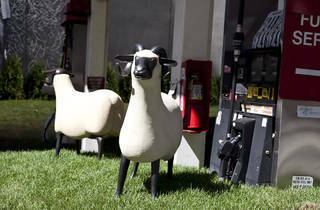 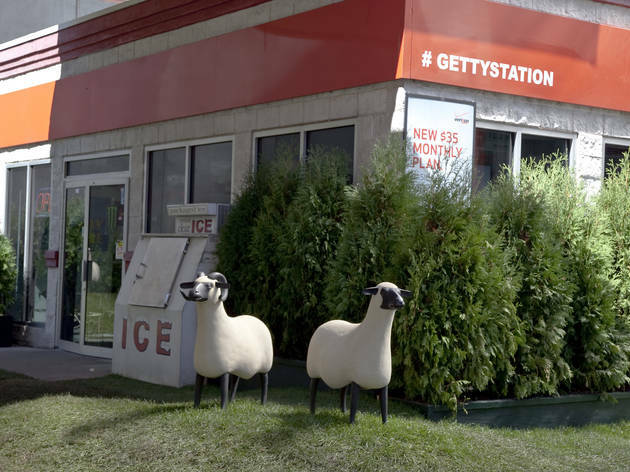 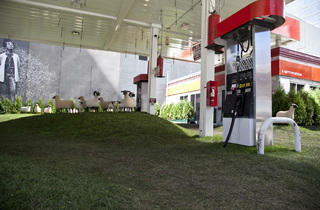 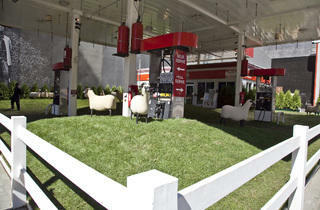 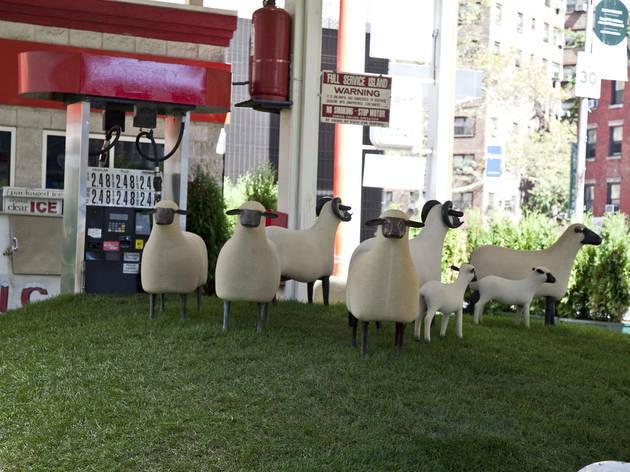 Well, Sheep Station, an installation of 25 epoxy moutons created by the late French artist François-Xavier Lalanne on the site of the former Getty station at Tenth Avenue and 24th Street. 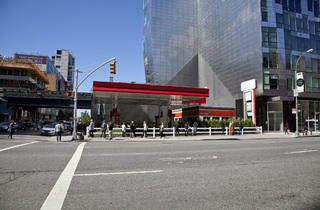 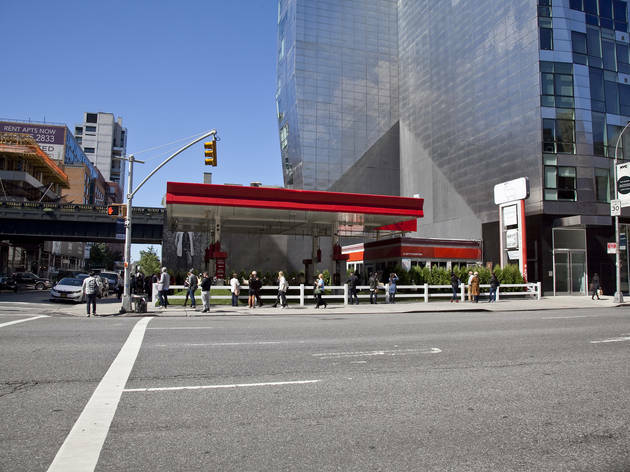 Michael Shvo, the aforementioned real-estate mogul, bought the High Line–adjacent site in May and plans to turn it into a mixed-use residential building. 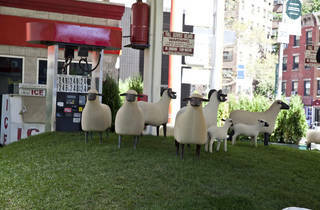 Before that happens, though, he’ll host a number of outdoor shows, and Sheep Station is the first. 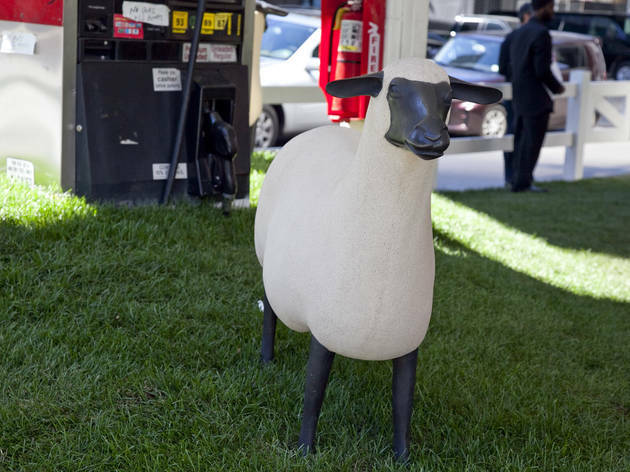 Shvo enlisted the help of a friend, Chelsea-based gallerist Paul Kasmin, who lent about half the show’s sheep to the project.